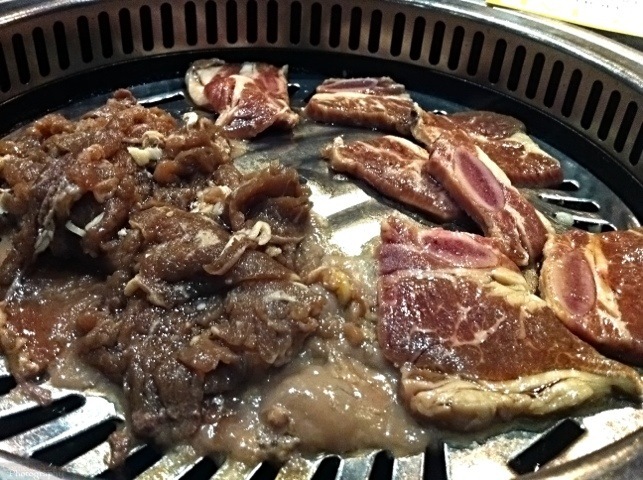 Last Sunday night, I met up with a friend for dinner at Miga Korean & Japanese B.B.Q. Restaurant in Mississauga. Upon entering the restaurant, you’ll be drawn in by the sweet and smoky aromas of the meats being cooked on the gas grills at the diners’ tables. We took our seat and browsed through the menu. 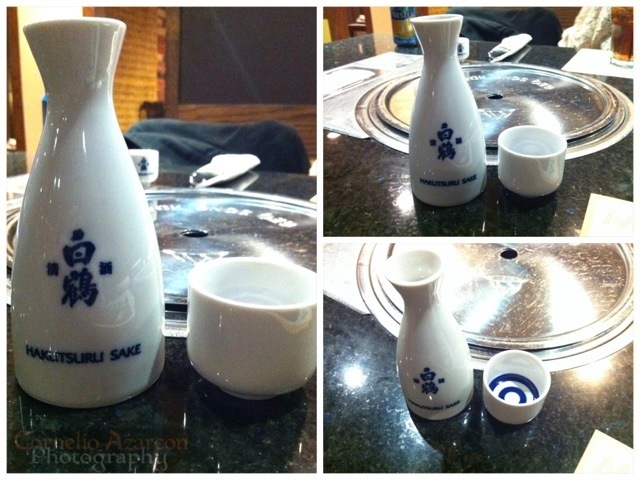 The server took our drink orders first, so I ordered a 4oz jar of warm Hakutsuru Sake ($4.95). This bevy goes well with pretty much anything on the menu. For our meal, we ordered the Miga B.B.Q. Combo for 2 people ($42.95), which consisted of L.A. 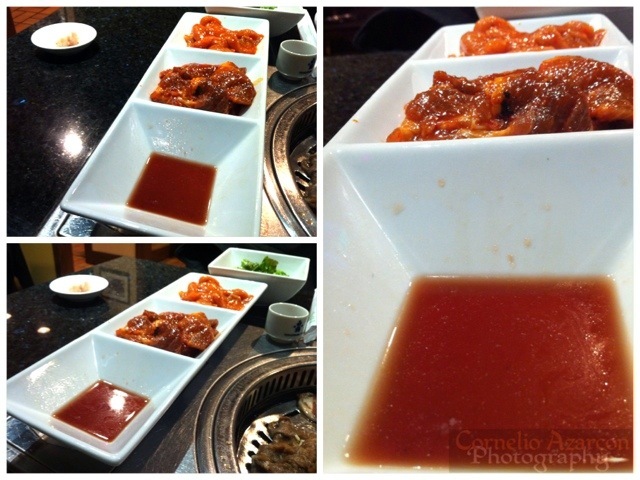 Beef Short Ribs, Marinated Beef Bul Go Gi, Spicy Marinated Pork, and Spicy Marinated Chicken. 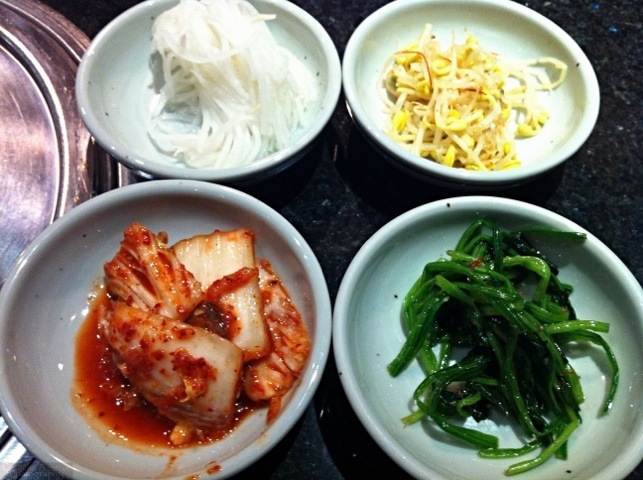 While waiting for our food to arrive, they started the grill and served us some appetizers such as bean sprouts, spinach, radish, and kimchi. and a choice of lettuce or salad. 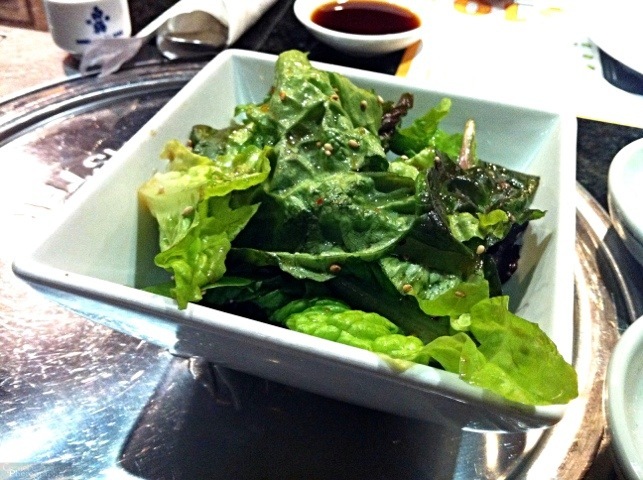 We chose the salad, an assortment of mixed greens with sesame seeds and sesame dressing. 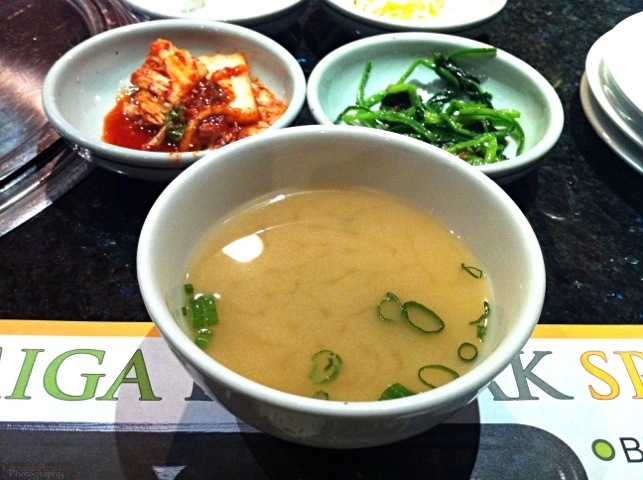 The salad is served in one medium bowl, and is enough to share. while the spicy marinated pork and chicken await its turn. 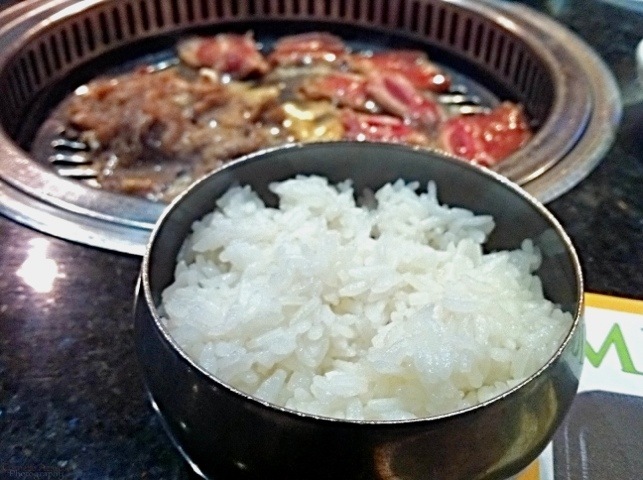 The meal also comes with 2 bowls of rice. 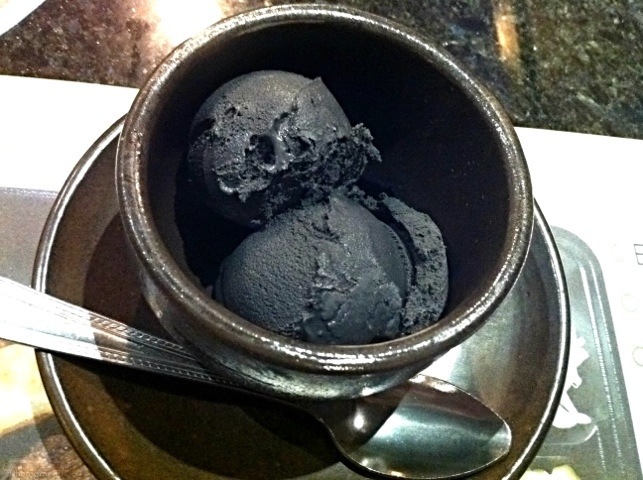 To top of my meal, I ordered the Black Sesame Ice Cream ($4.00), which was really a great and unique flavour for ice cream. It tasted like toasted sesame, and was a nice palette cleanser to end the meal. Overall, had a really good experience, which is not surprising, based on 2 previous visits many years ago. « Local Eats: Wacky Wings Eatery & Beverage Co.